I highly recommend Athos Scuba which are located in Eagles Palace hotel, The staff are very professional, attentive and informative, very cool companions at the same time. All The courses and fun dives are arranged in a very organized way and they will definitely make your stay fun and easy. I went by chance to this particular scuba diving center to take my first lessons to be an open water diver. What I found was two professionals with huge commitment to their work and respect to the environment around them. The diving courses were always enjoyable with delightful visits to the artificial reef close by the diving site. The diving equipment was at an excellent state like the teachers! This experience couldn't be more positive and inspiring to continue diving. 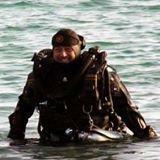 Girls, I hope I will see you next summer for the advanced open water diving certificate! 21 days I spent with the staff , just amazing , super fun , great dive sites and teaching is at the highest PADI standards. The beat diving center I've ever been to. I would come back every time I come to Greece ! !